Charlotte Potter is a conceptual artist working in the ancient medium of glass. 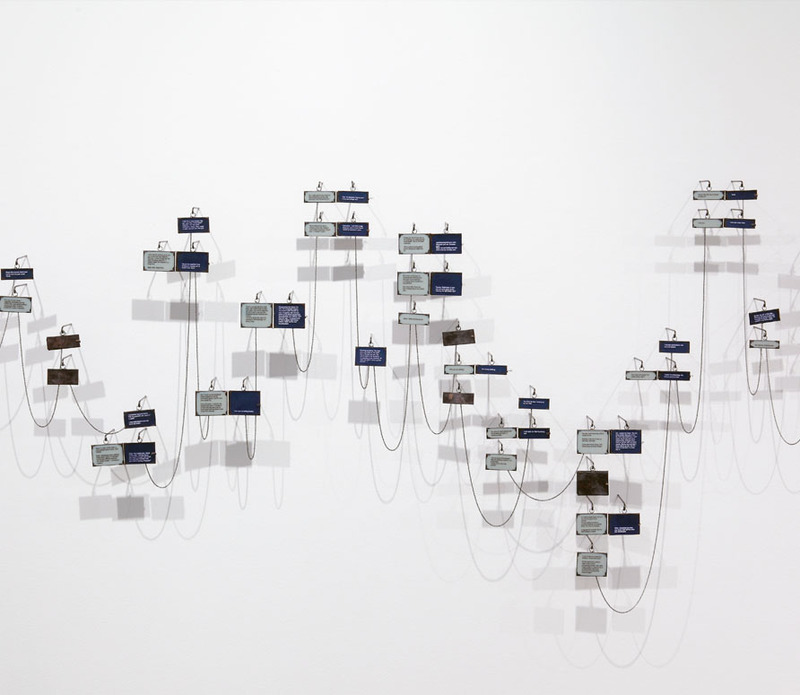 Through installation, sculpture, performance and video, she strives to relocate glasswork into a wider framework of modern technology, contemporary life, and new social norms. 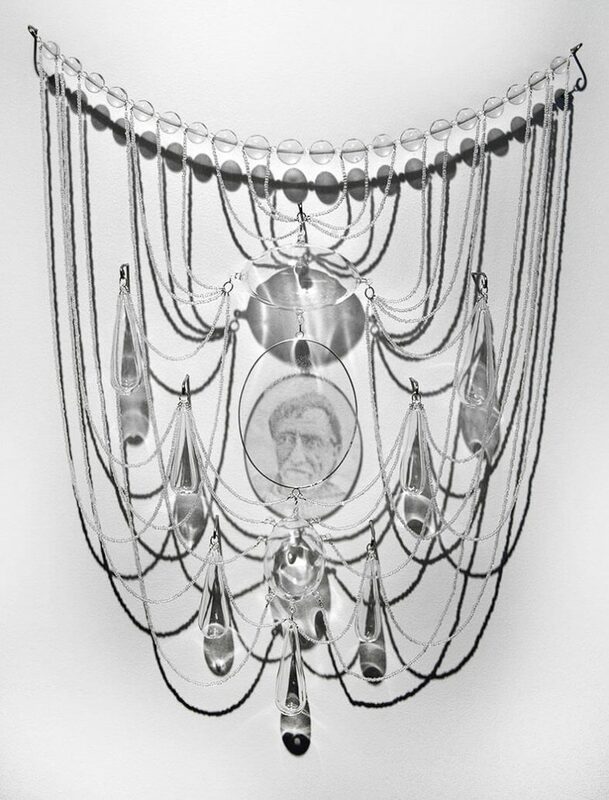 Glass is both material and inspiration because of its ability to hold dual identities: hot and cold, fragile and strong, liquid and solid. 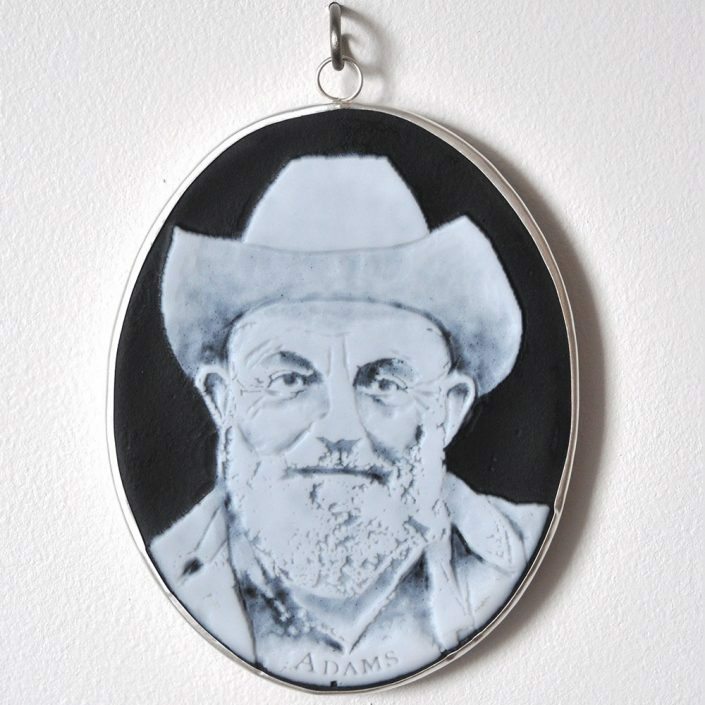 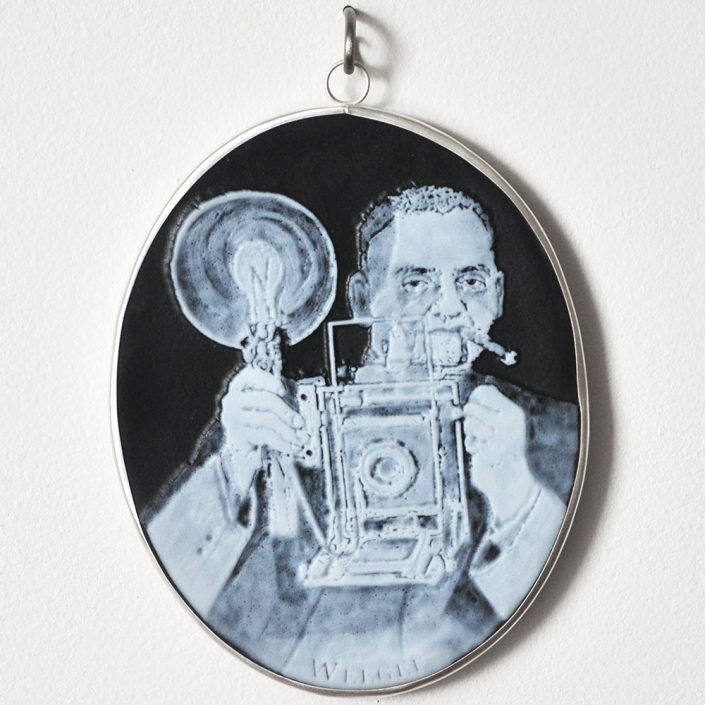 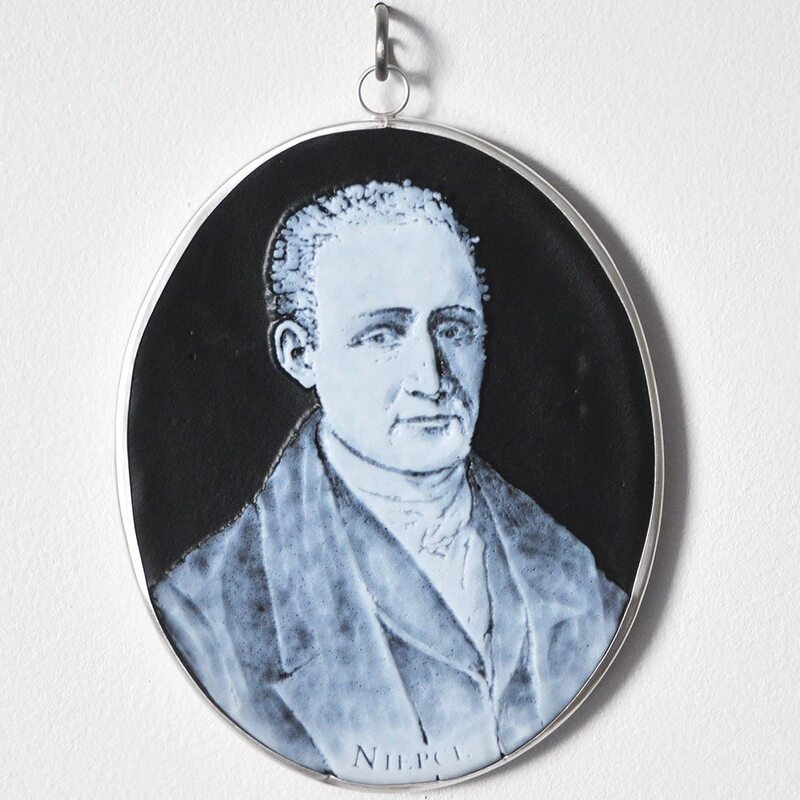 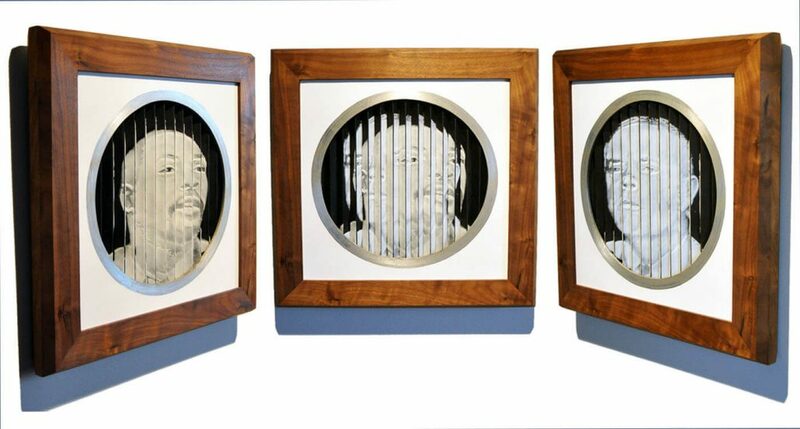 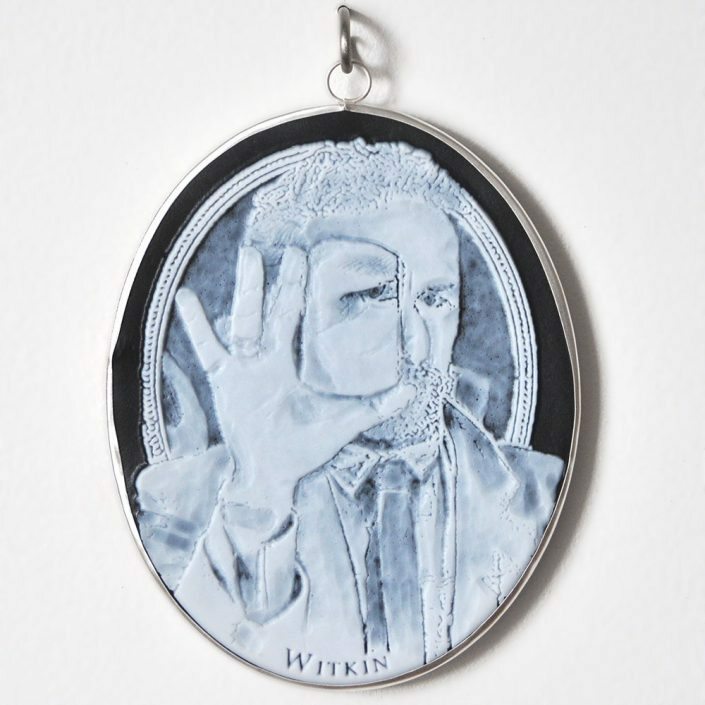 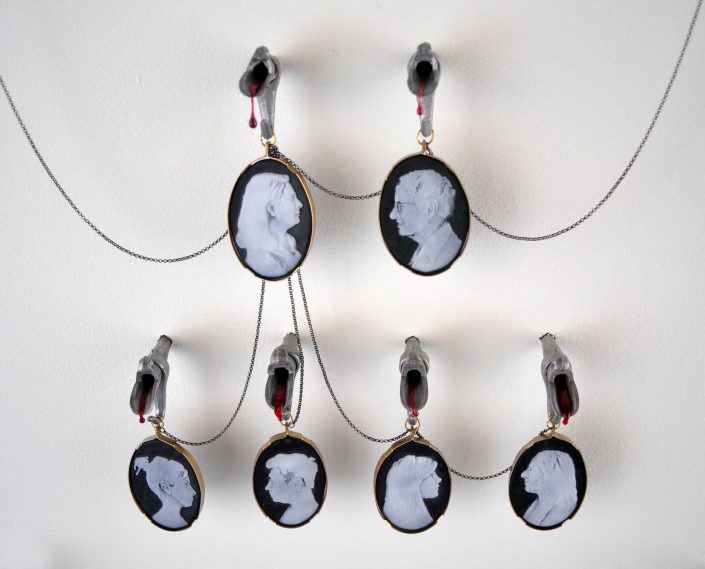 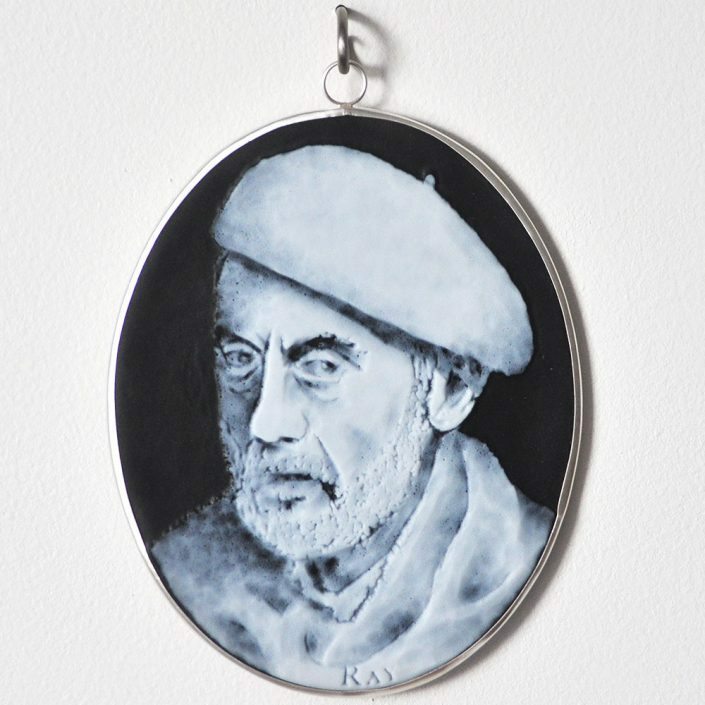 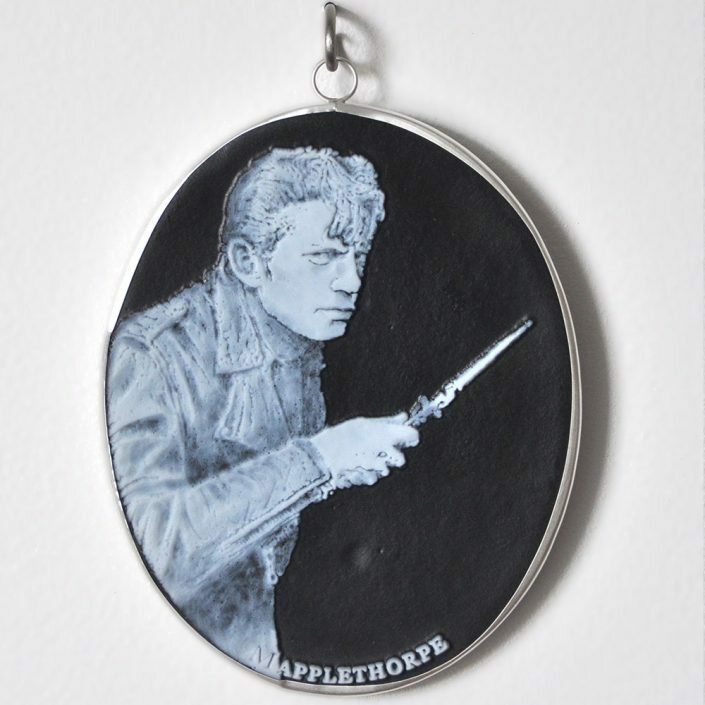 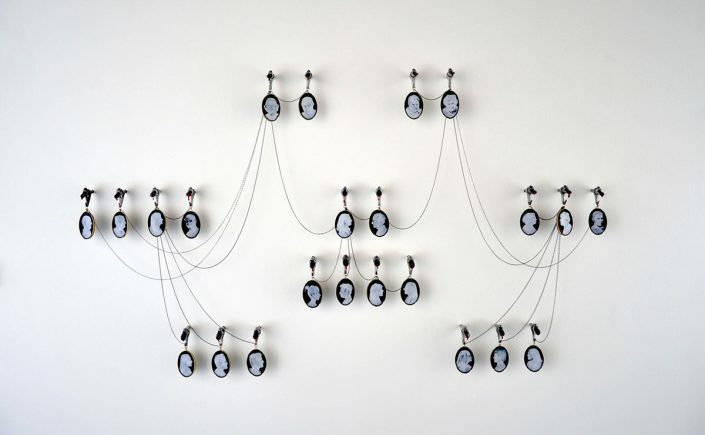 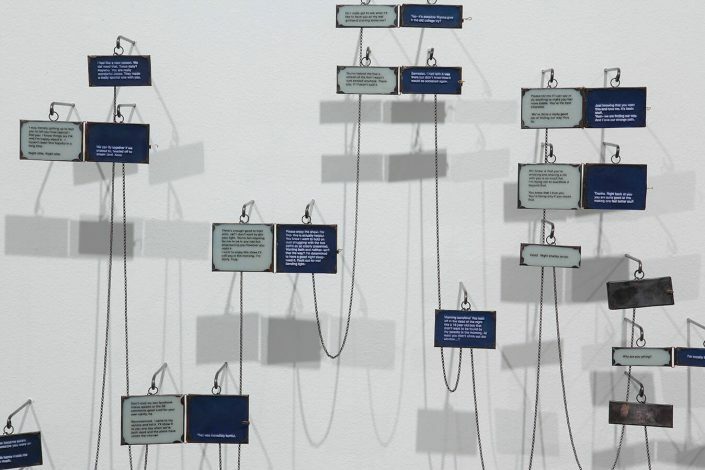 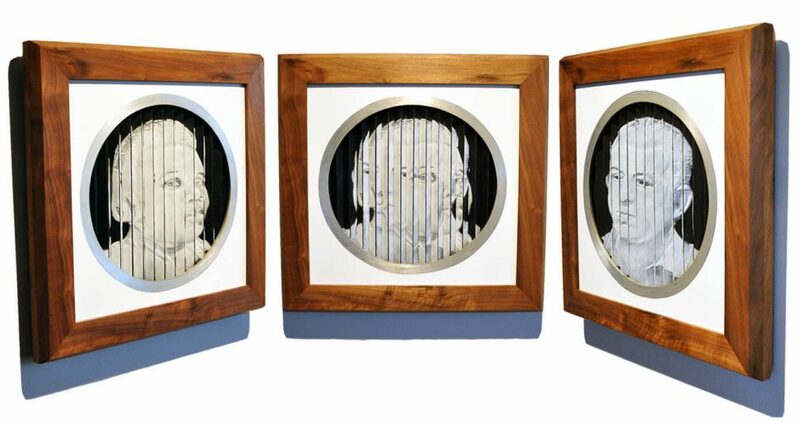 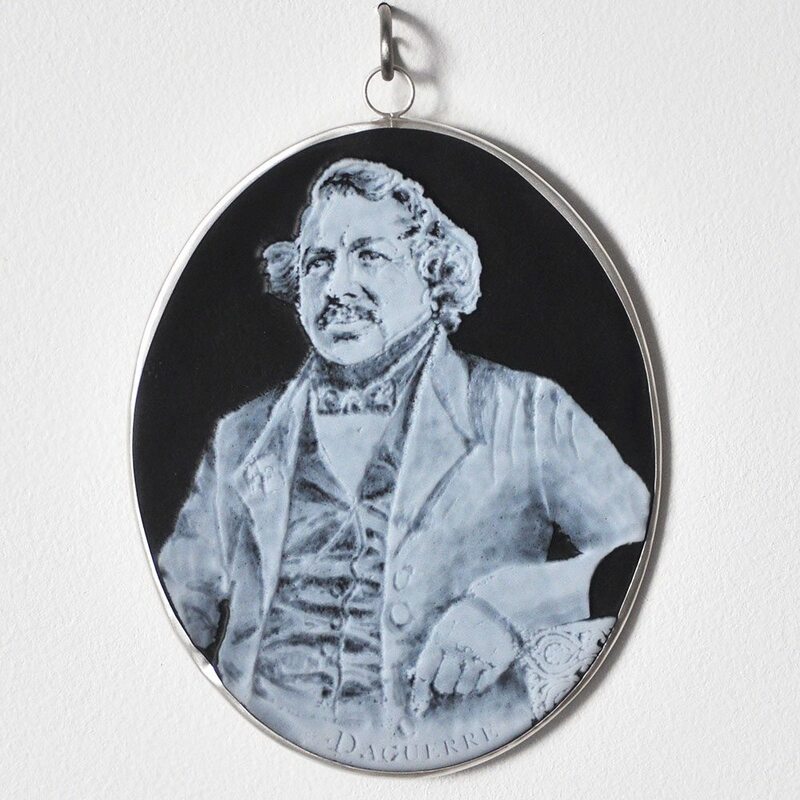 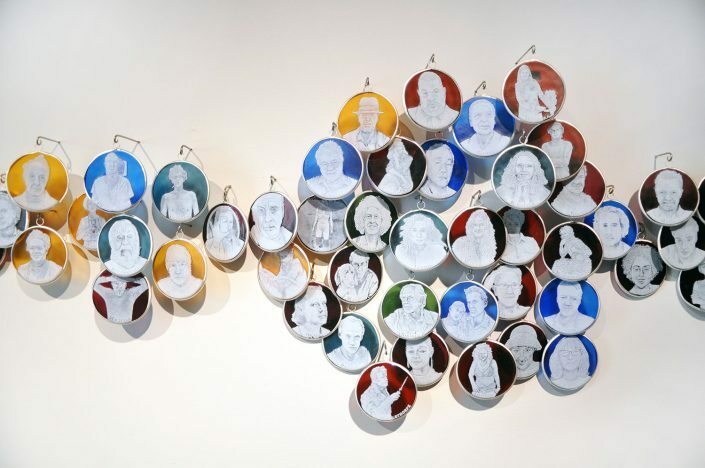 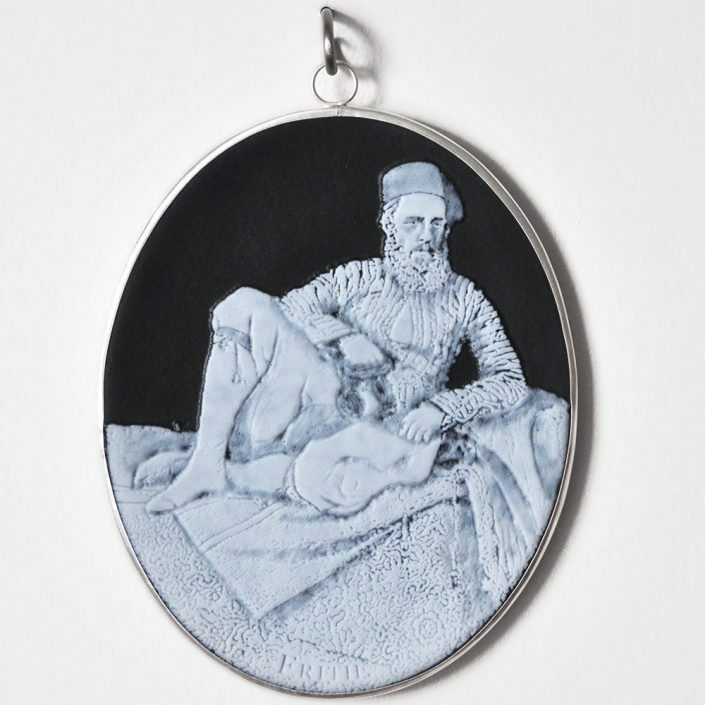 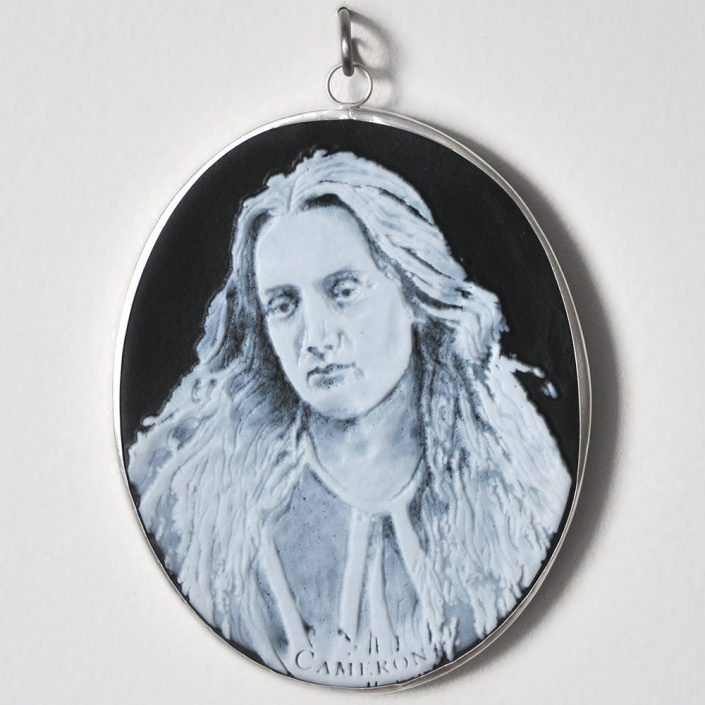 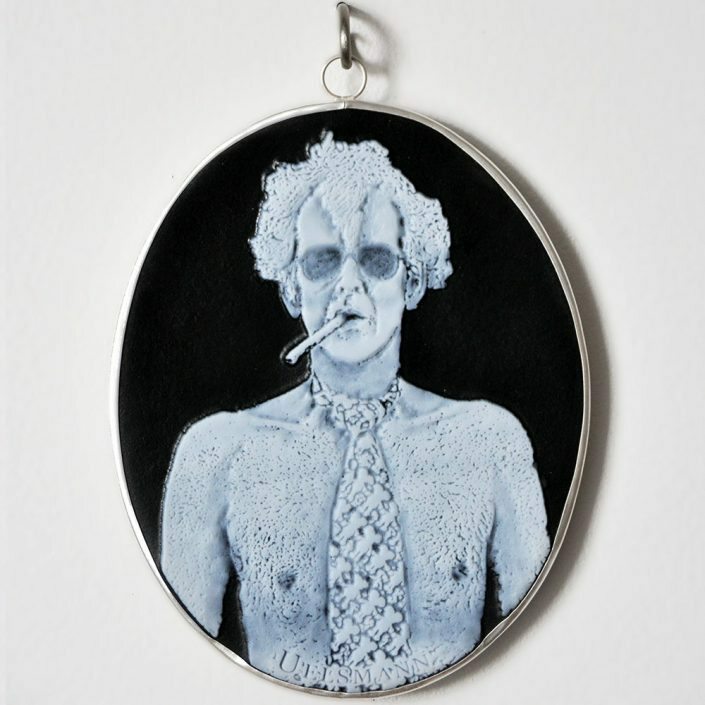 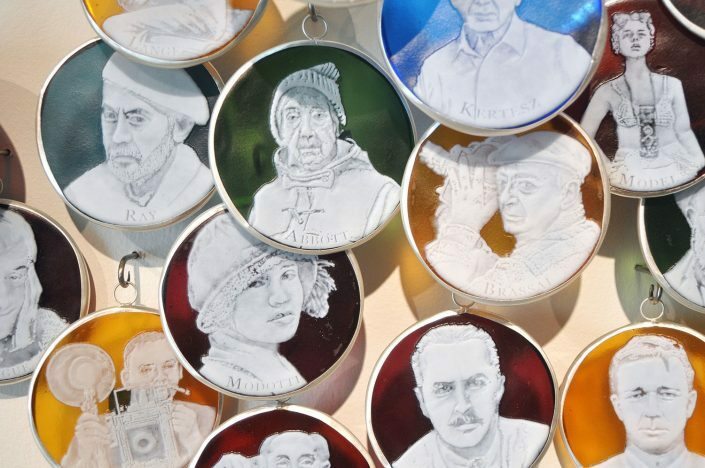 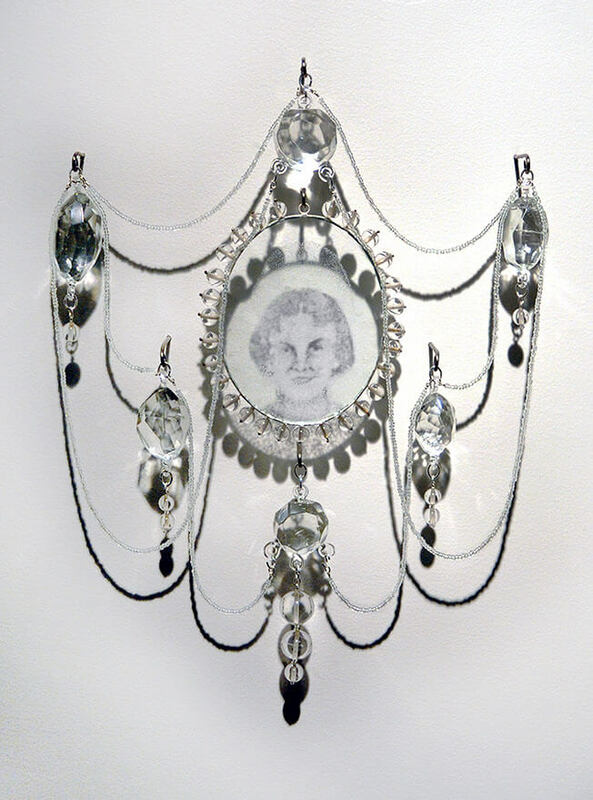 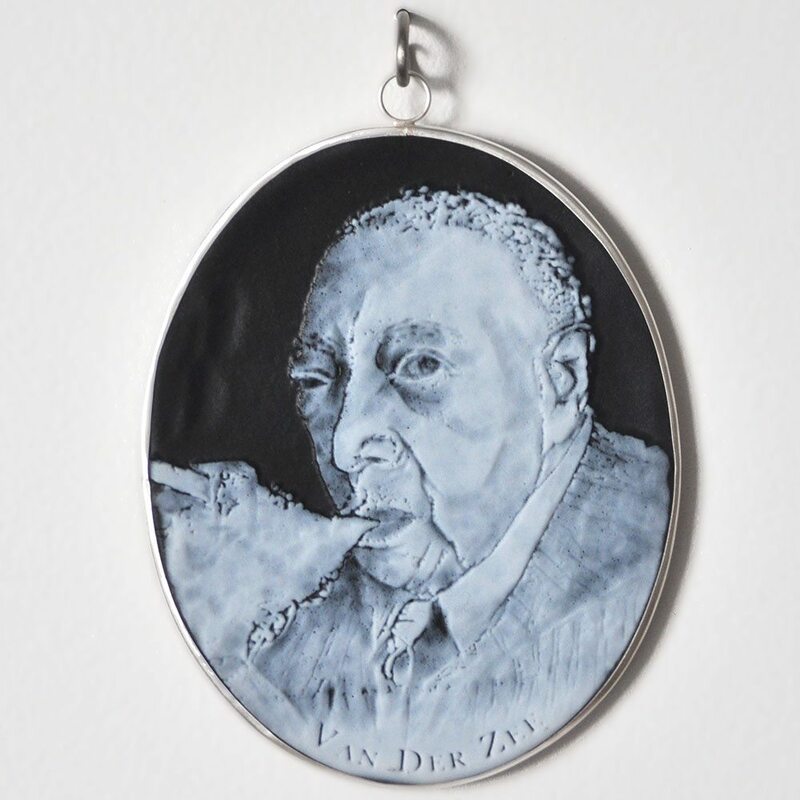 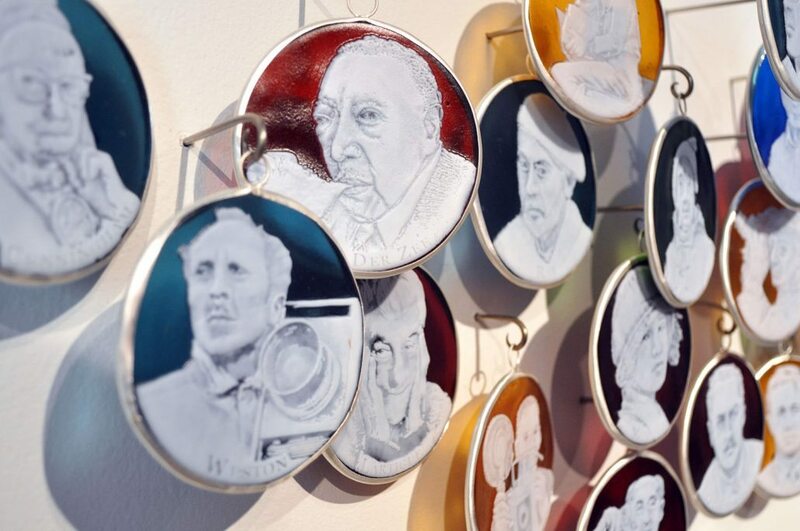 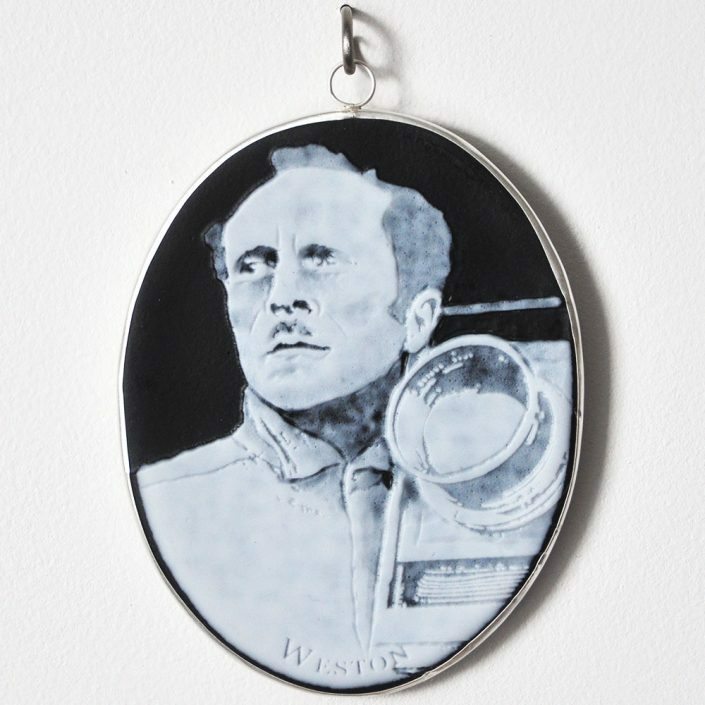 “My work begins with a historical model,” Potter stated, “I am constantly looking for historical references, relevance, and reasoning for using this material.” An early series entitled Social Media brought together a quintessential pre-photography mode of historical portraiture with the contemporary obsession with immediate self-representation: hundreds of glass cameos replicating Facebook profile images. In her History of Photography series, she created about sixty glass cameo portraits of influential photographers from the inception of photography to the era of the Selfie. 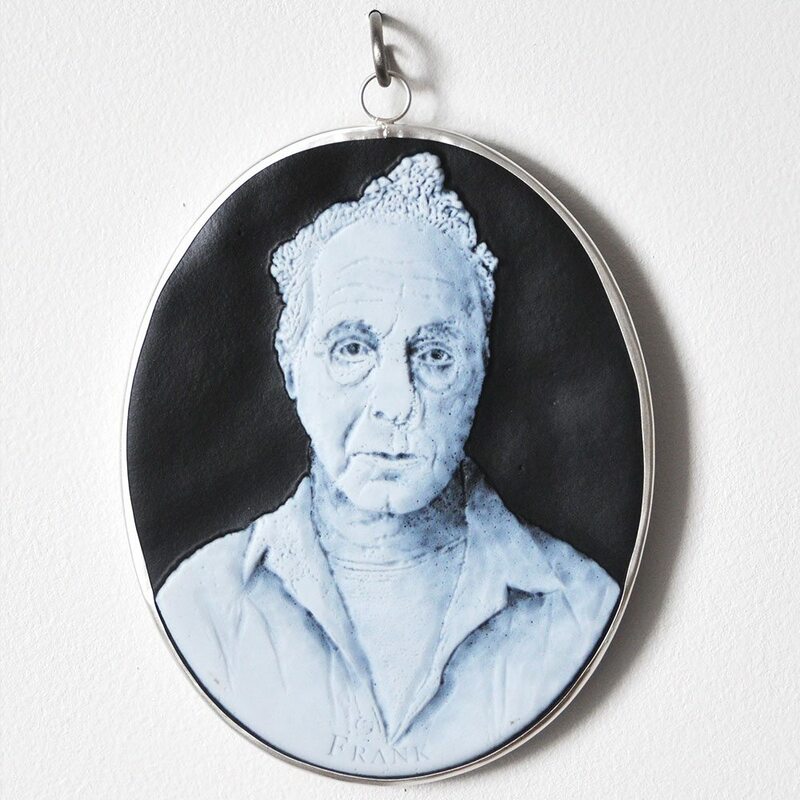 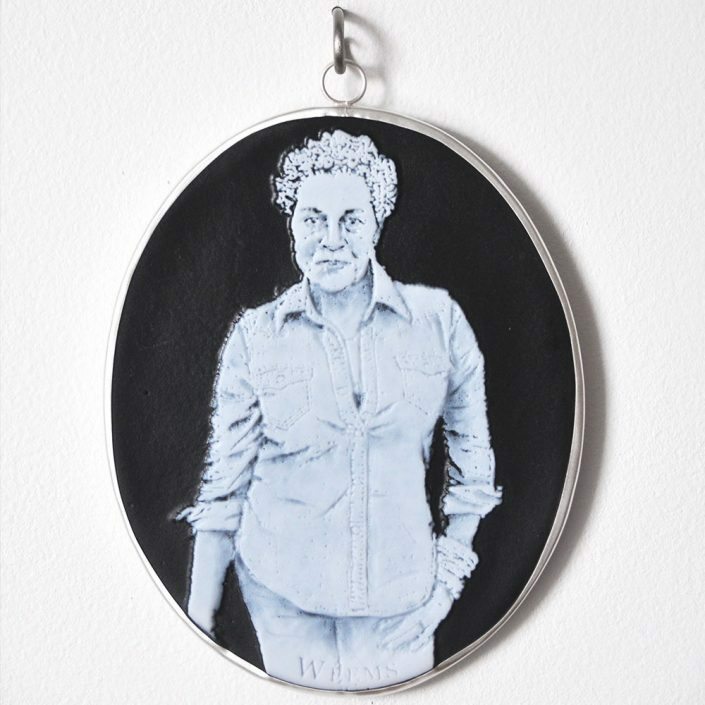 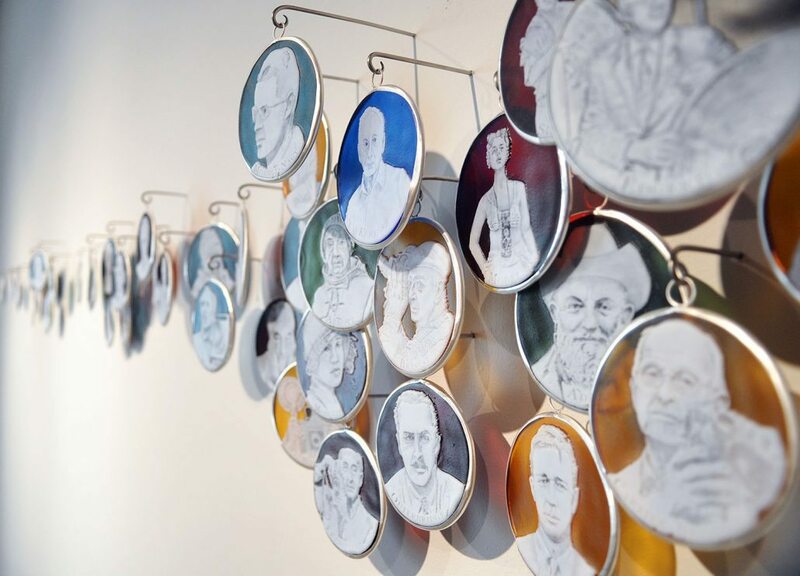 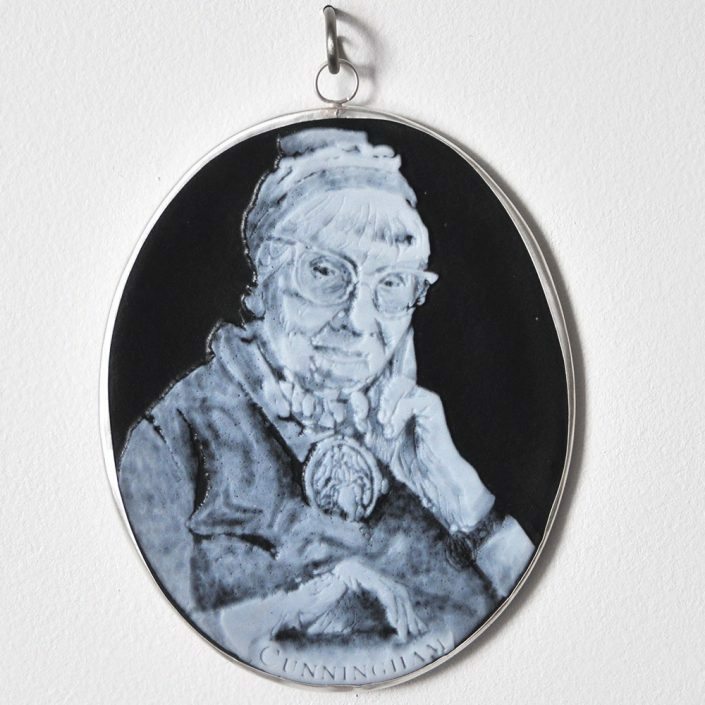 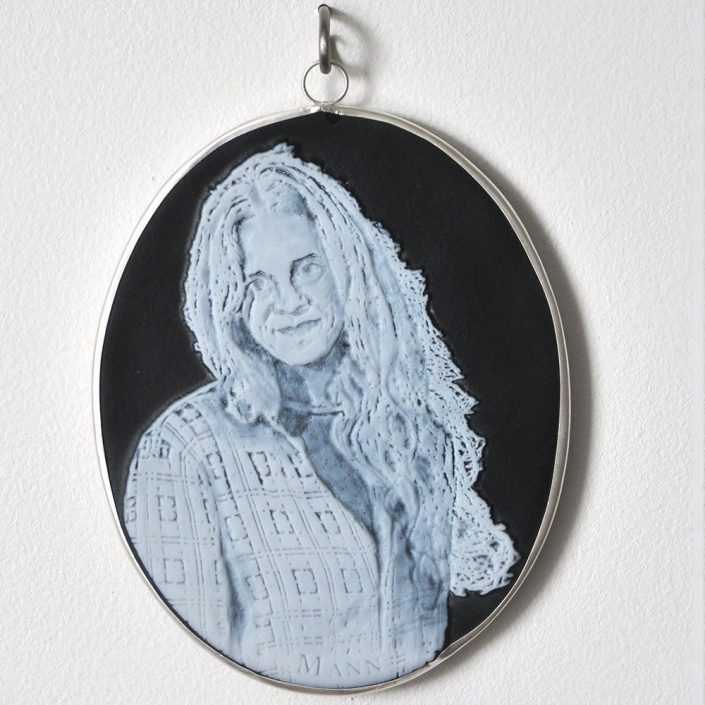 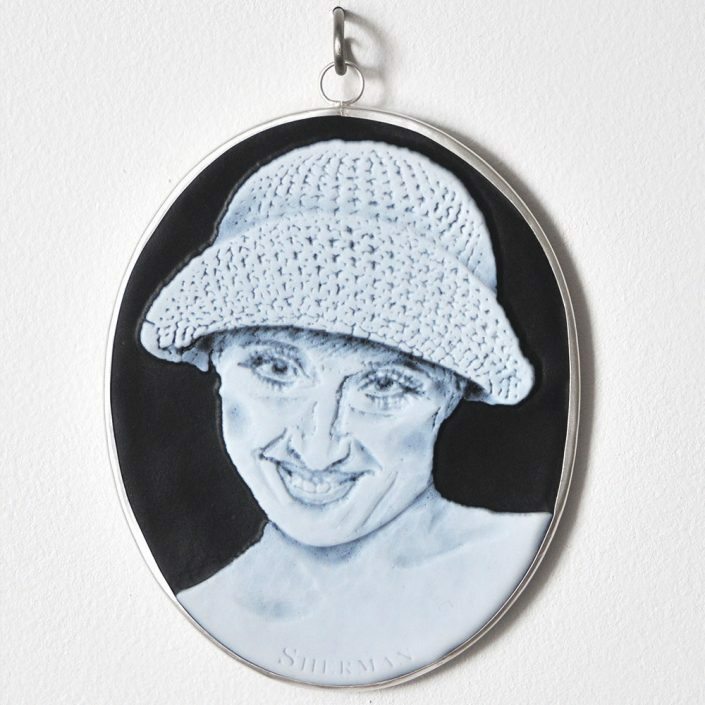 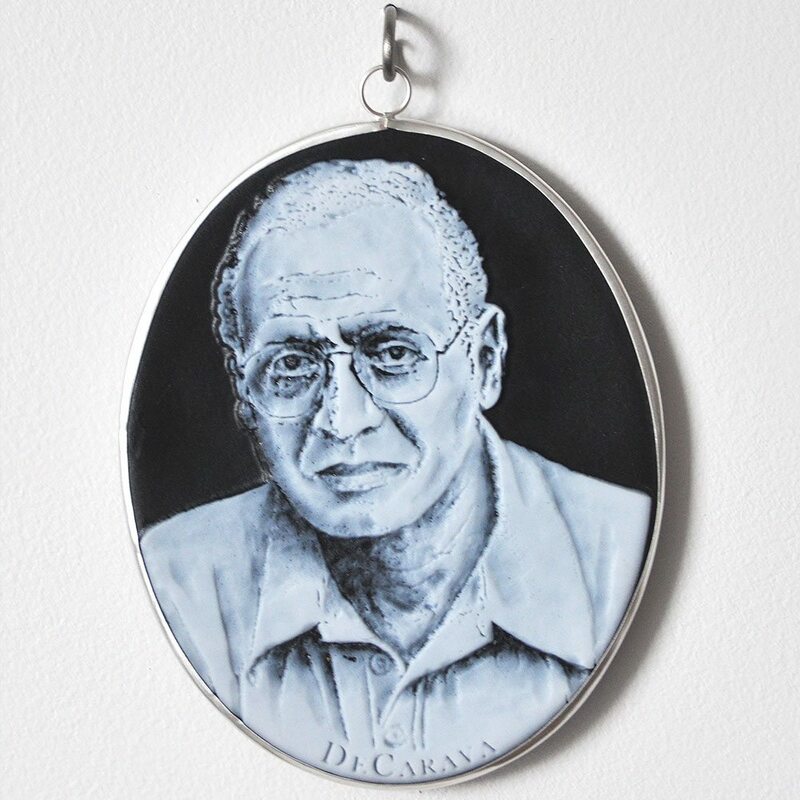 Potter formulated these portraits taking into account their subjects’ photographic methodologies and presented them as an interconnected web of chronology and aesthetics. 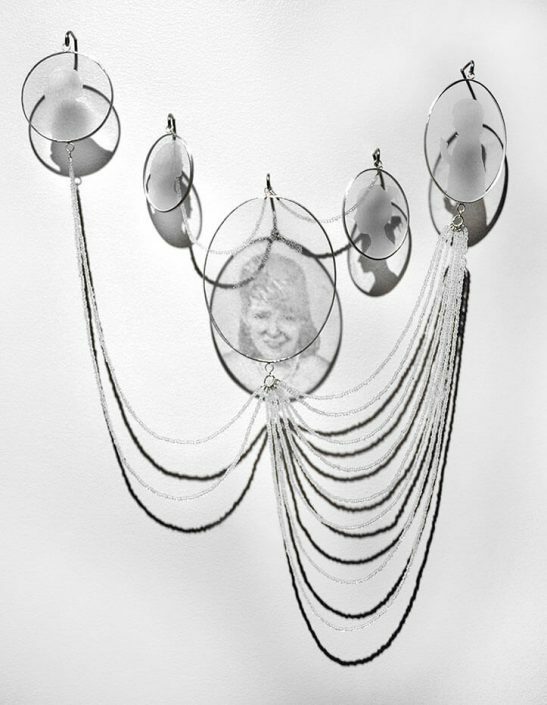 They speak to the natures of both photography and glass: permanent and ephemeral, opaque and transparent. 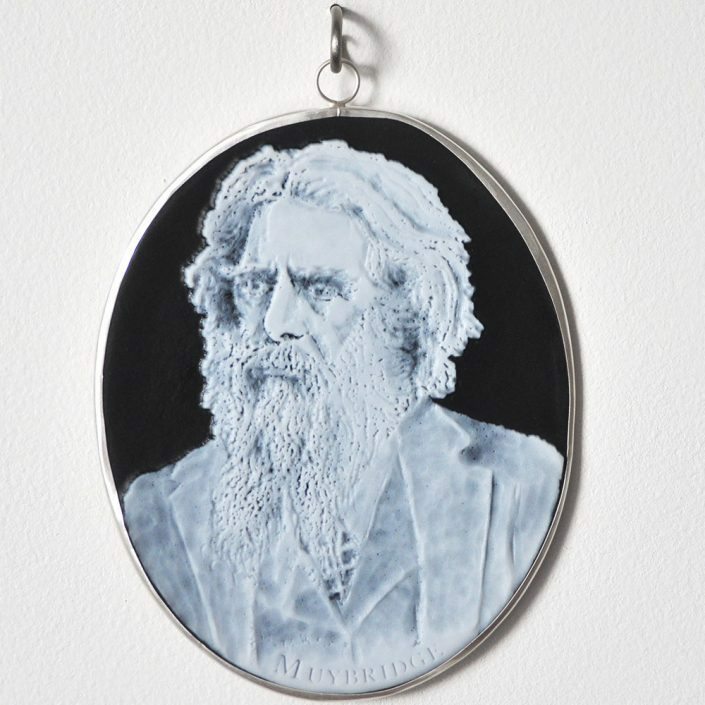 Potter’s work is about the act of creation and the fluidity of the material of glass rather than a final product. 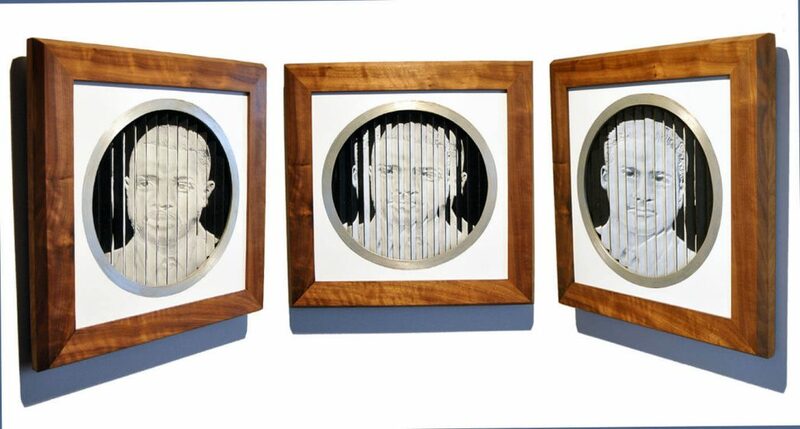 “Glass is an experience, not an object. That philosophy informs everything,” she explained. 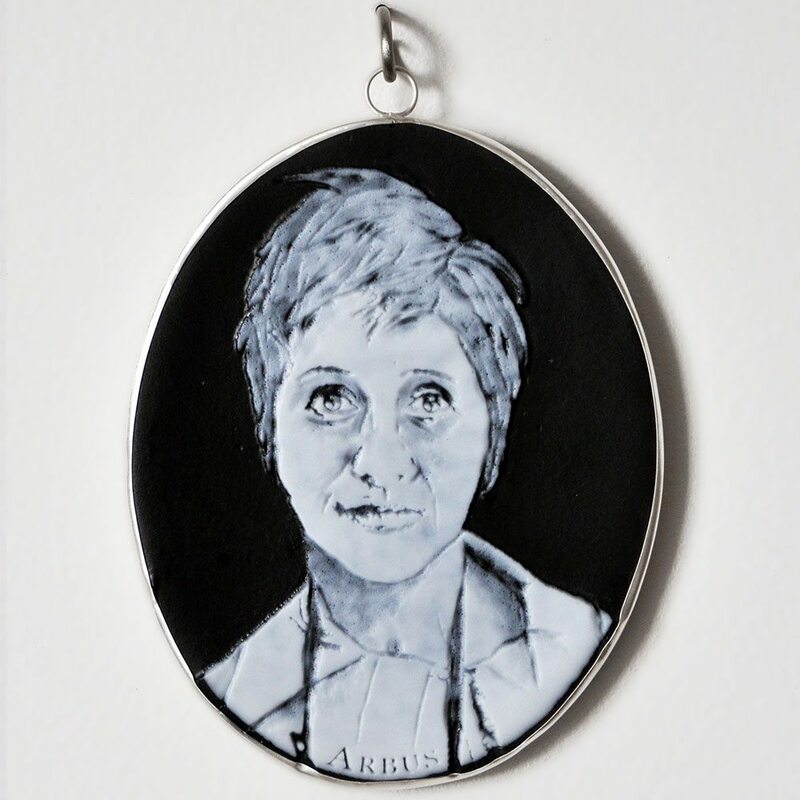 Potter received her BFA from Alfred University in 2003 and her MFA from the Rhode Island School of Design in 2010. In addition to her impressive studio practice, Potter has pioneered the field of performance glass. 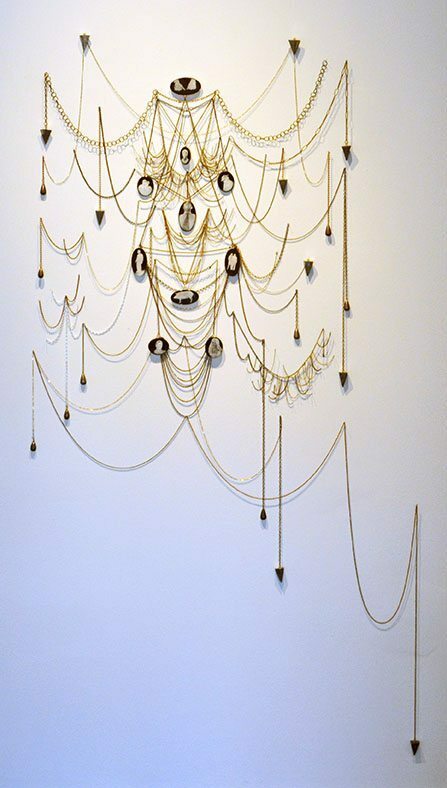 Charlotte Potter - "Cameographic (installation view of 10 cameos)"